When you’re spending this much money on a cut of meat, you want to let it shine with simple but exciting seasonings. 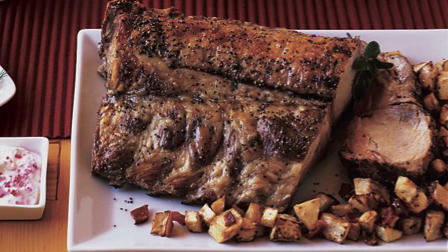 Blend coffee, bourbon, and brown sugar for a dark, thick rub that forms a crackly crust. 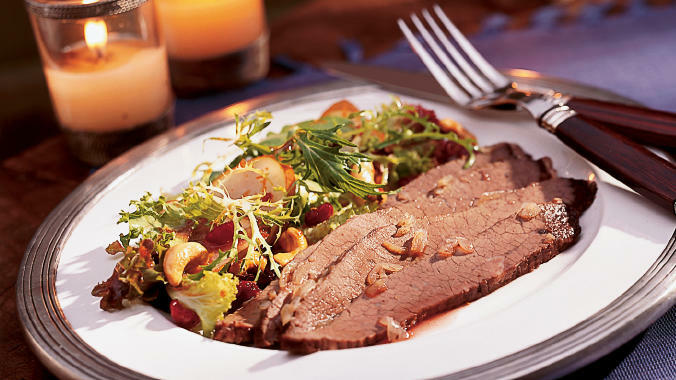 Offset the roast’s richness with a refreshing watercress or arugula salad. No roast is more epic than a goose—it is, after all, the bird Charles Dickens forever immortalized in A Christmas Carol. A goose is all dark meat and very rich. The fat that drips from it is excellent for roasting potatoes and vegetables, and the skin turns golden and crisp, the poultry equivalent of pork cracklings. 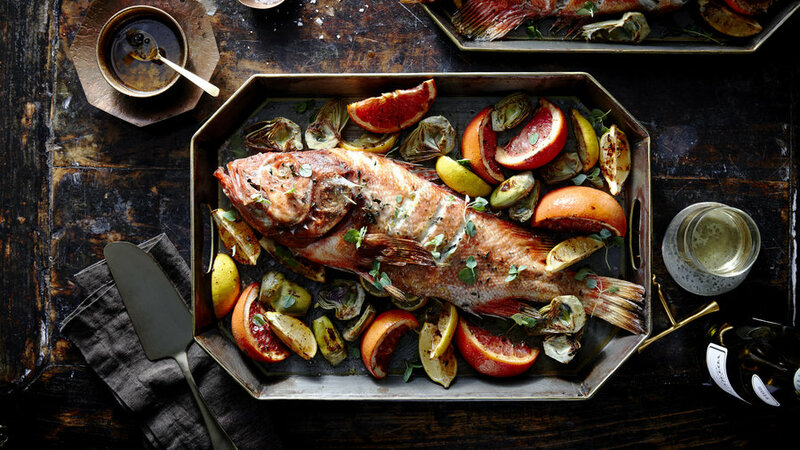 Rockfish—also known as Pacific snapper or rock cod—is one of the most sustainable and widely available fish in the West, and has a mildly sweet flavor. Vermilion rockfish, with their scarlet hue, are especially pretty and tasty. For a large feast-worthy fish, order ahead of time from your seafood shop or counter. 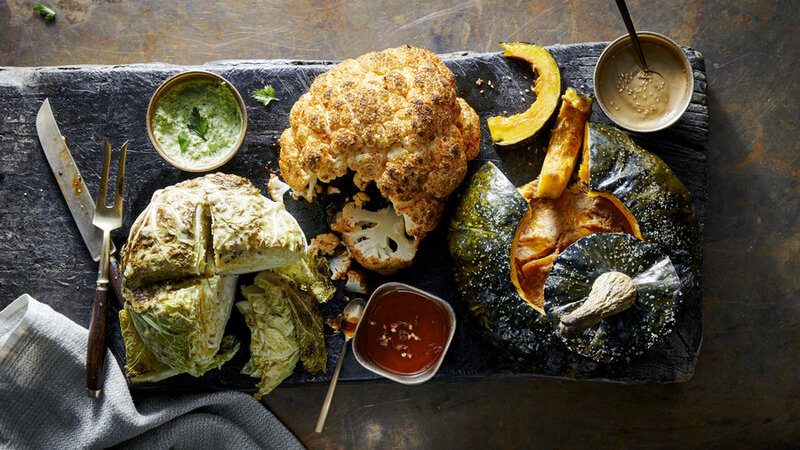 This trio of vegetables is easily as impressive as a meat roast. 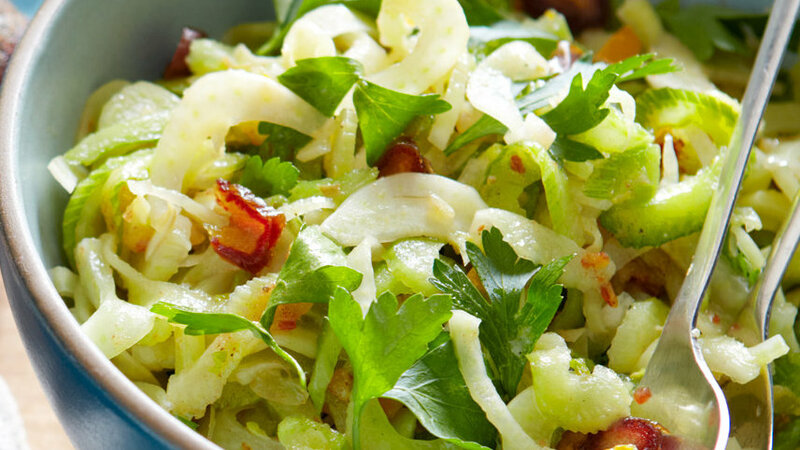 For a vegetarian feast, round it out with sides made from whole grains, mushrooms, and nuts, and a big green salad. 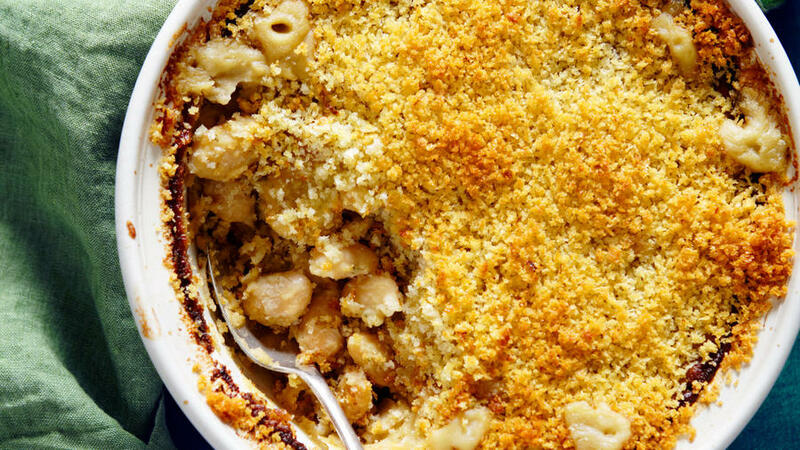 Any of these roasts on their own can be served as a side dish too. Tri-tip for Christmas? Yes—this wintertime take on the barbecue classic is elegantly Mediterranean. Tracy Smaciarz, who owns Heritage Meats in Rochester, Washington, cold-smokes this cut, then grills it over indirect heat. 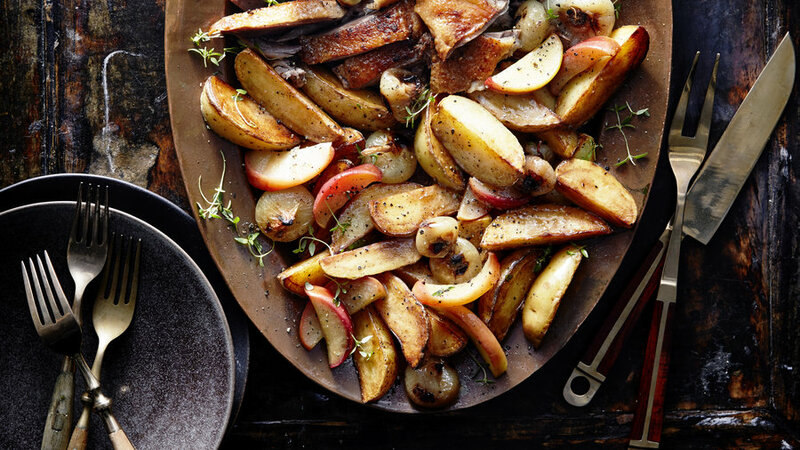 You can get a similar effect by oven-smoking the roast with wood chips and onions. This holiday roast has it all: velvety meat, salty cheese filling, a savory-sweet sauce, and a touch of smoke. 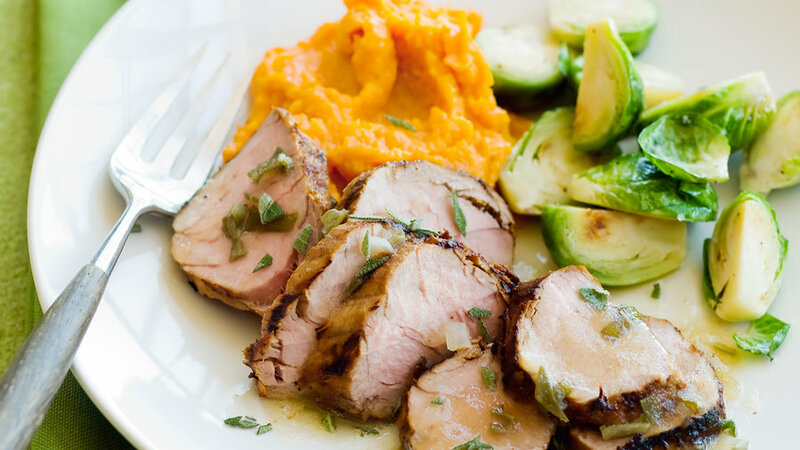 Though this dish looks impressive, it's easy to pull off, and the cut of meat is an inexpensive one. 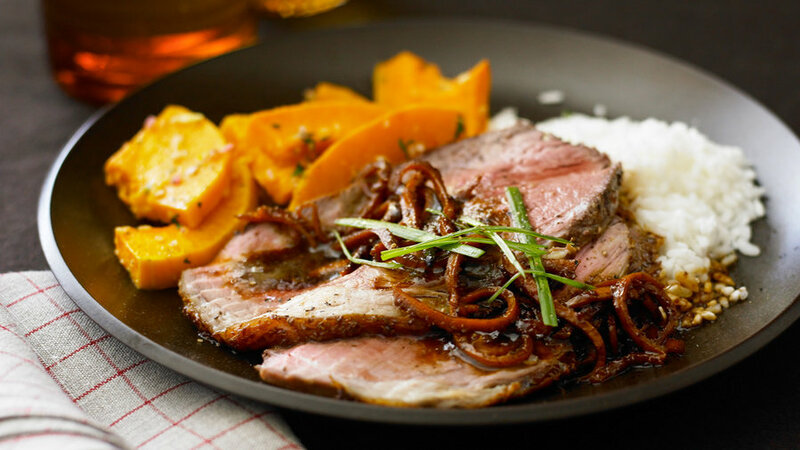 It takes some time to prepare the fresh clementine peel sauce for this dish, which was inspired by Chinese orange peel beef, but the results are worth it. 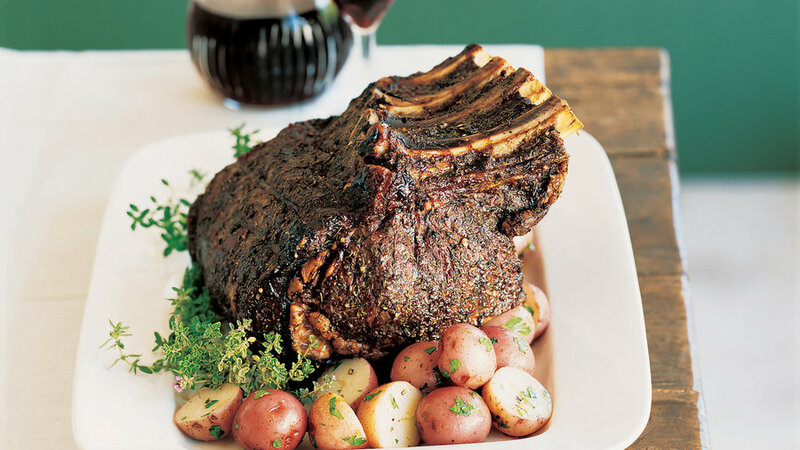 Cross-rib roast costs a fraction of fancier cuts; to keep it tender, we recommend cooking only to medium-rare. How to turn an inexpensive cut into something that's company-worthy? Season it with lots of fresh marjoram and garlic, then serve it with a richly flavored gravy made with the pan drippings plus more garlic. 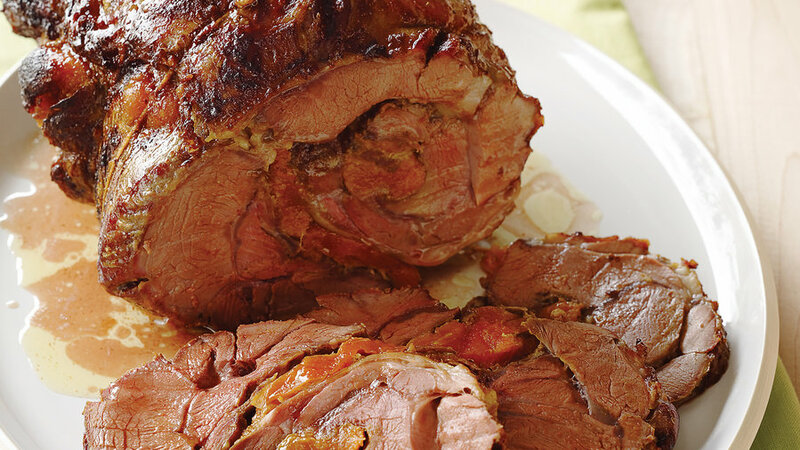 This splurge-worthy roast is studded with garlic slivers and served with a fresh horseradish sauce. 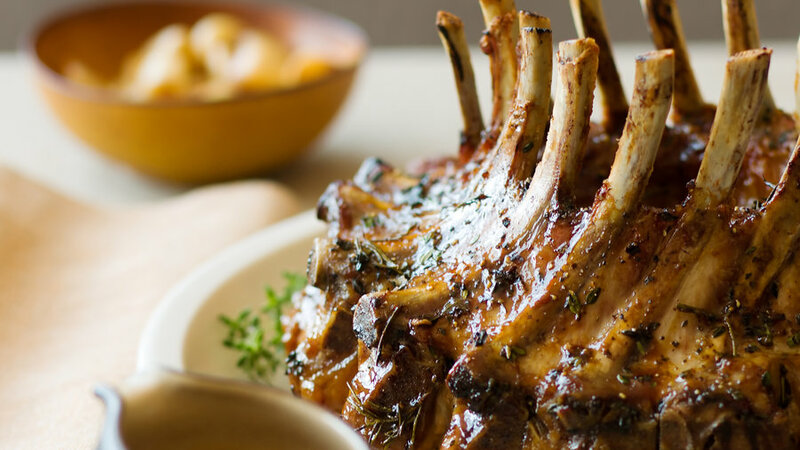 A pocket of rosemary and garlic gently seasons the meat as it roasts. Try it with a special designed-to-match menu. 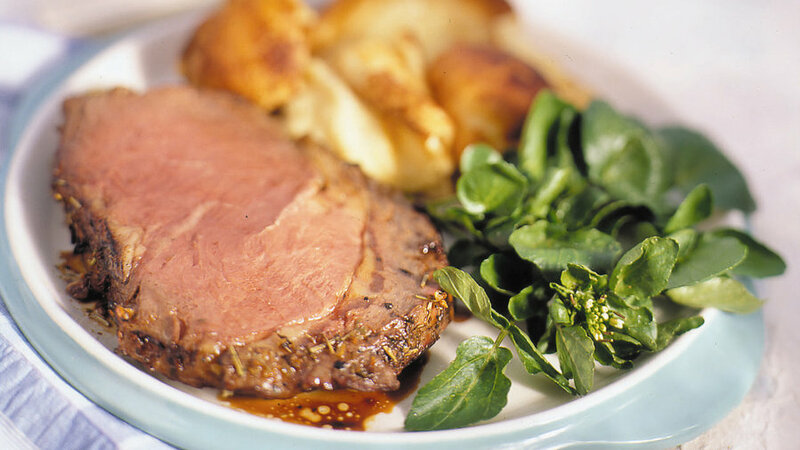 An initial half hour in a very hot oven ensures that this roast comes out beautifully browned and juicy. Slice into the roast to reveal the garlic- and three-herb filling. 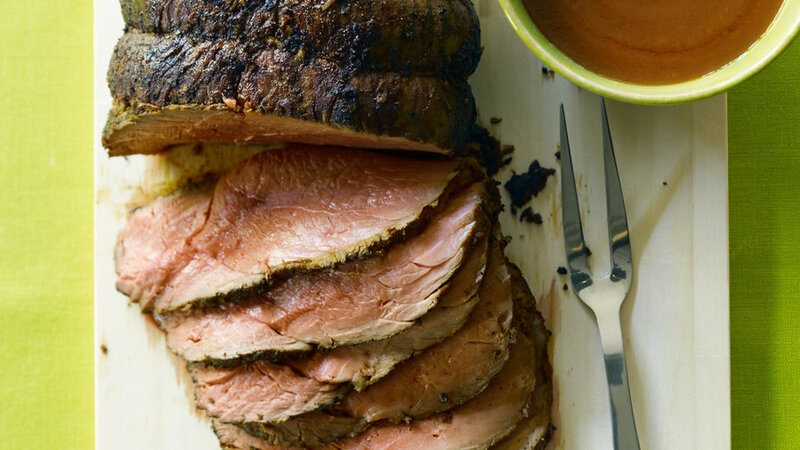 Plenty of pepper and spices coat this beautiful cut of meat. For extra flavor and tenderness, start it a few days ahead. Braising the brisket slowly ahead of time and chilling it, then heating slices with the onion-rich pan juices just before serving, makes this dish easy on the cook and extra-flavorful. 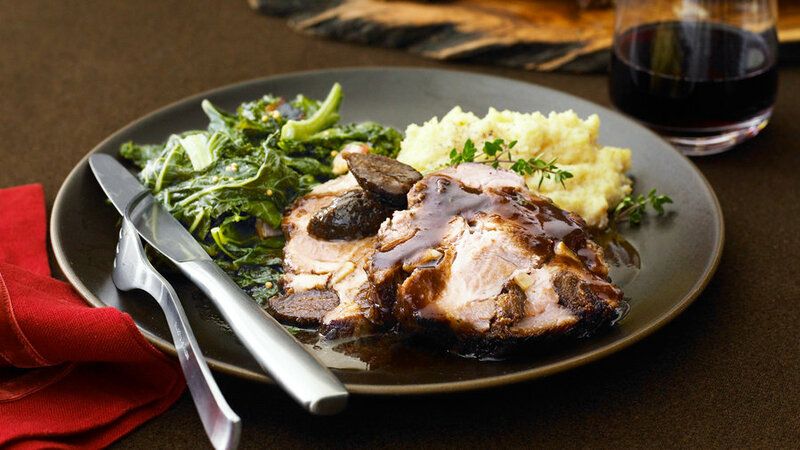 For the ultimate winter meal, be sure to make the whole menu. For a change of pace this year, why not try bison? It's lean and tastes similar to beef. 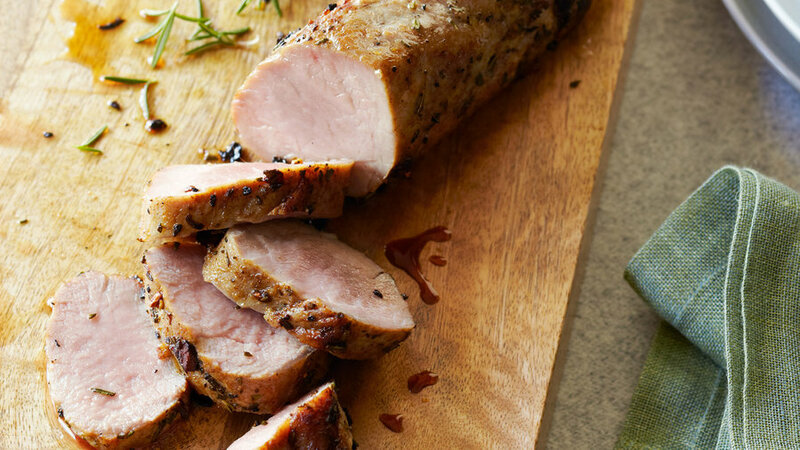 Marinated for a full 24 hours with lemon, rosemary, garlic, and warm spices, this chef creation has loads of flavor. Here's another choice to make for a small group when you don't have much time. 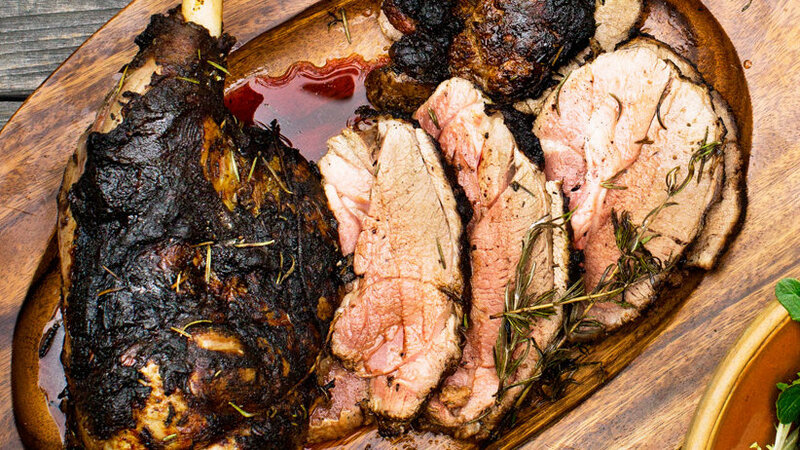 A marinade with spices seasons this boned and butterflied leg of lamb. You roll it up like a jelly roll around dried apricots, then slice it after roasting for mosaic-like pieces studded with the tender fruit. 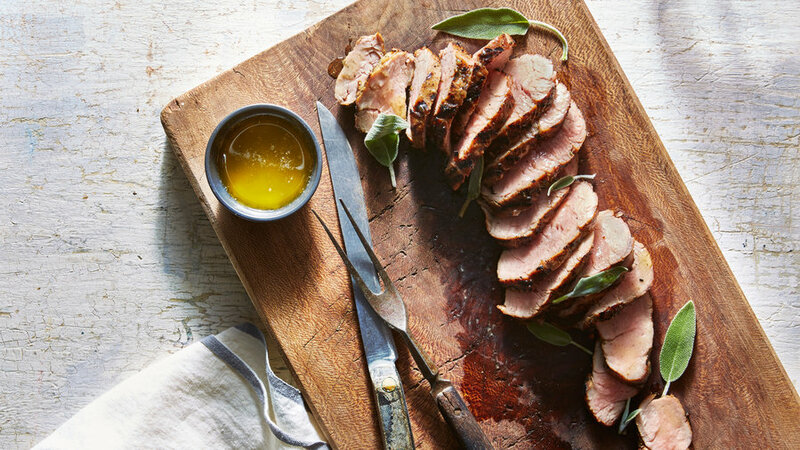 Coated generously with thyme, the roast is served with a beef broth and brandy jus. The dish pairs perfectly with this menu. 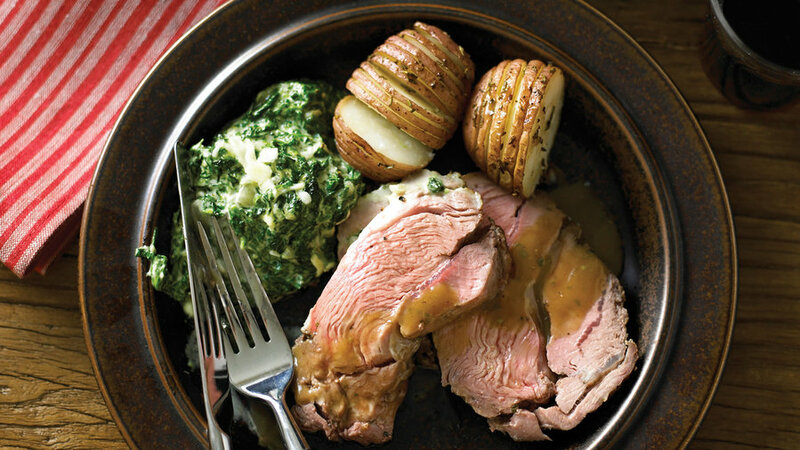 Unlike many roasts, this one is perfect for a small group (it serves only 4); plus, it cooks in just 30 minutes. 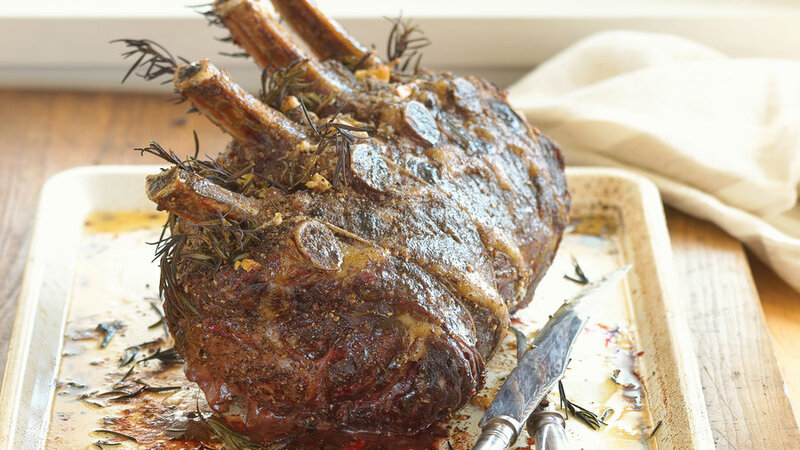 The meat's coating of crushed rosemary and fennel seeds turns golden and crisp on the grill. Complete the meal with boiled thin-skinned potatoes and creamed spinach (and keep the dish in mind for spring, too—it's great with asparagus). 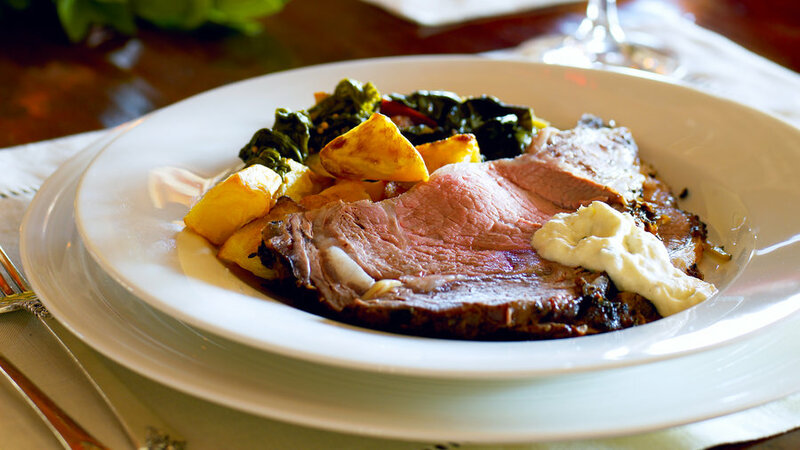 Simple to prepare, a crown roast makes an impressive statement at the table, and it serves a crowd. This Norwegian-style roast has a red wine and port sauce that's enhanced with lightly sweetened homemade gingerbread (or storebought gingersnaps) and a little cream. 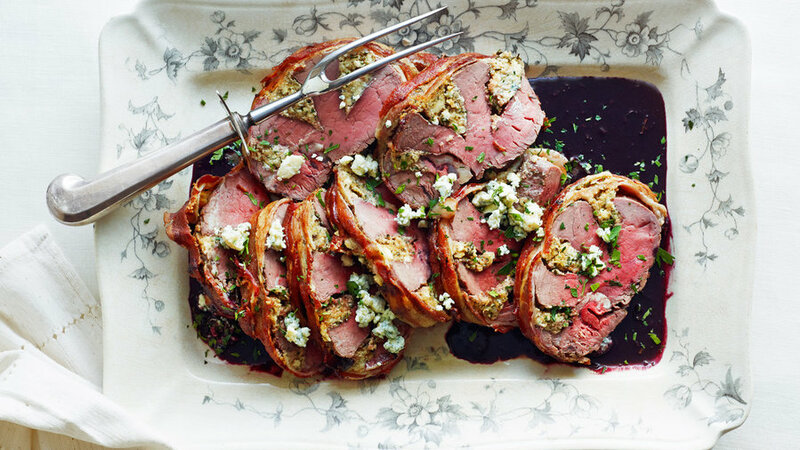 Make it with the whole Christmas in the Rockies-inspired menu. 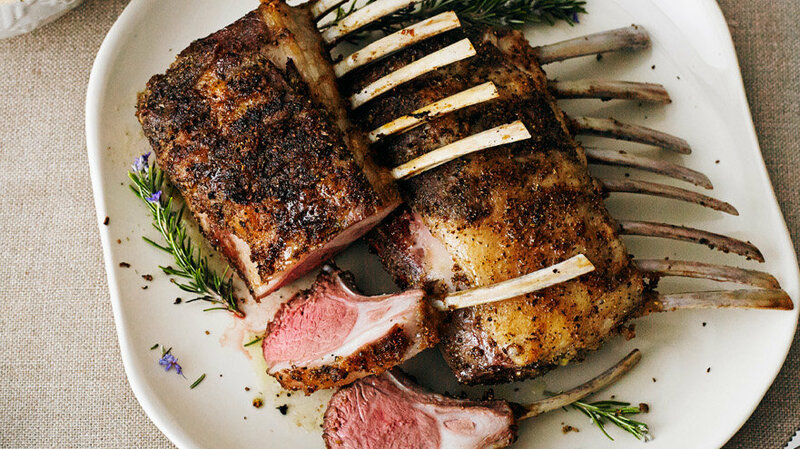 A day to brine and a slow roast over indirect heat on the grill are the secrets to creating a roast that's deeply flavorful and tender. 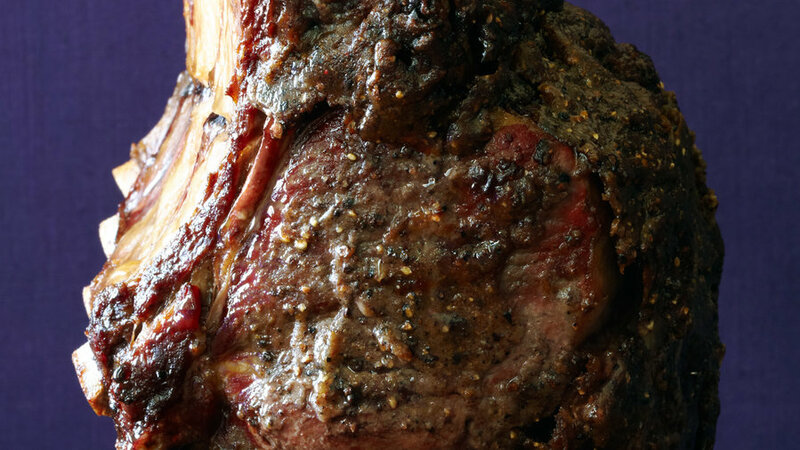 If you're looking for a roast that's easy to make, this is a great one—simple to season and grill, and a no-brainer to carve. A quick sage butter dresses it up. 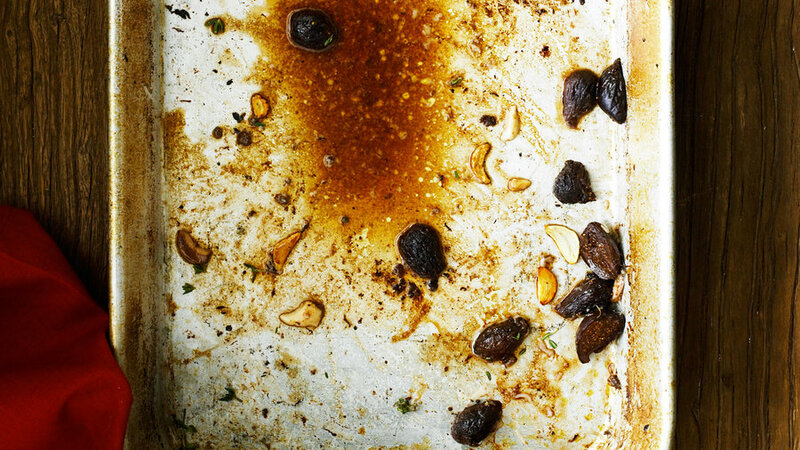 A Sunset reader received an award in a Sunset grilling contest for this recipe. He grills prime rib, catching the drippings in a pan, then pours Yorkshire pudding batter into the drip pan, where it puffs and browns. 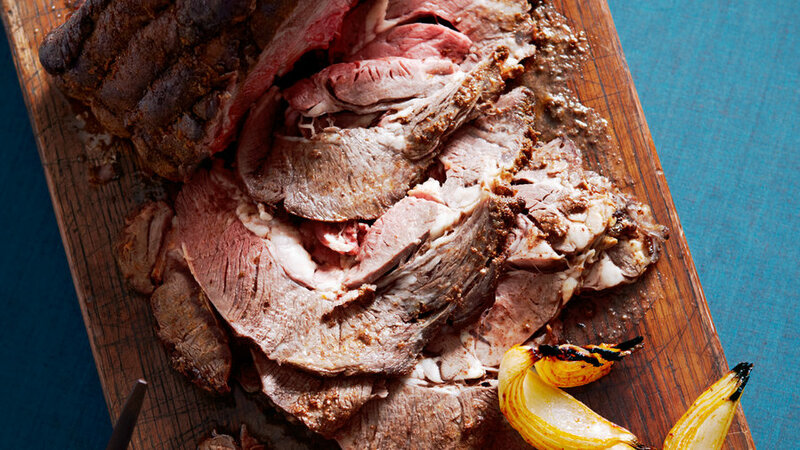 For meat that's unbelievably tender and juice, start this roast in a hot oven so it gets nice and brown, then turn the heat way down and roast it slowly all day. 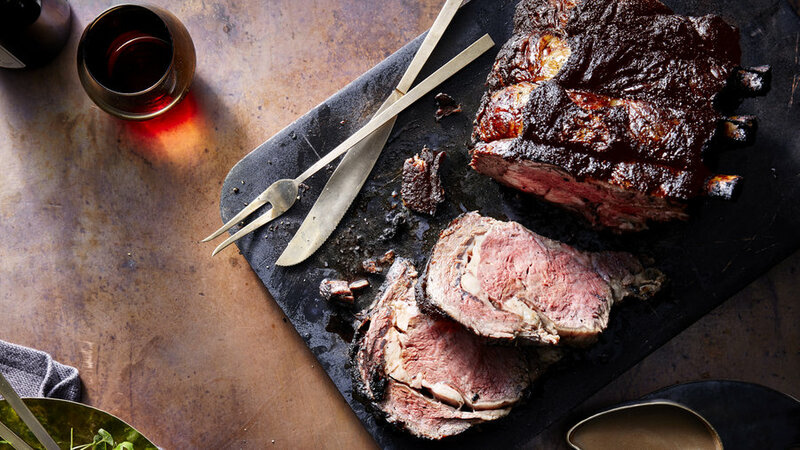 The unsung cuts: Cross-rib roast and chuck roast (aka good old pot roast) come from the chuck, an area between the shoulder and neck. The unsung cuts: Leg is widely available, but shoulder, if your butcher carries it, is a great find. 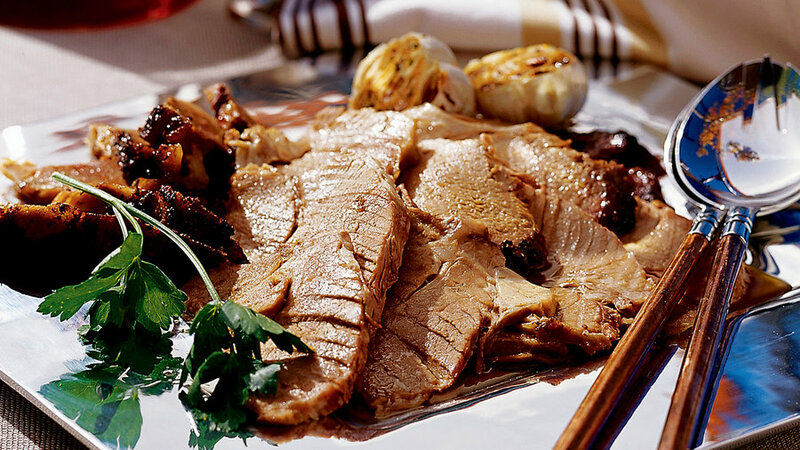 It has loads of flavor, is more tender, and carves more neatly. 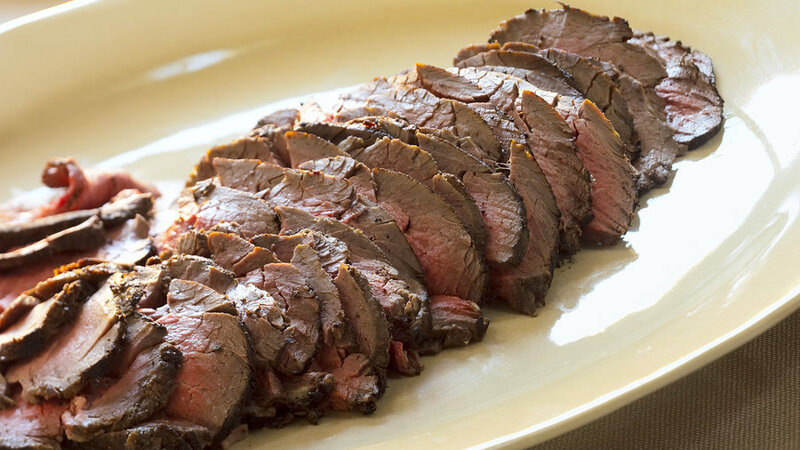 The secrets: Like the beef, start it in a hot oven, then reduce the heat until you reach rare to medium-rare. The unsung cut: Shoulder is a succulent hunk of meat. The secrets: This cut tends to fall apart (it’s popular shredded for carnitas), so for a roast, tie the meat to prevent that. Brown it in a frying pan, then braise slowly (common wisdom holds here) until tender. If you can’t find preserved lemons to buy, they’re easy to make. 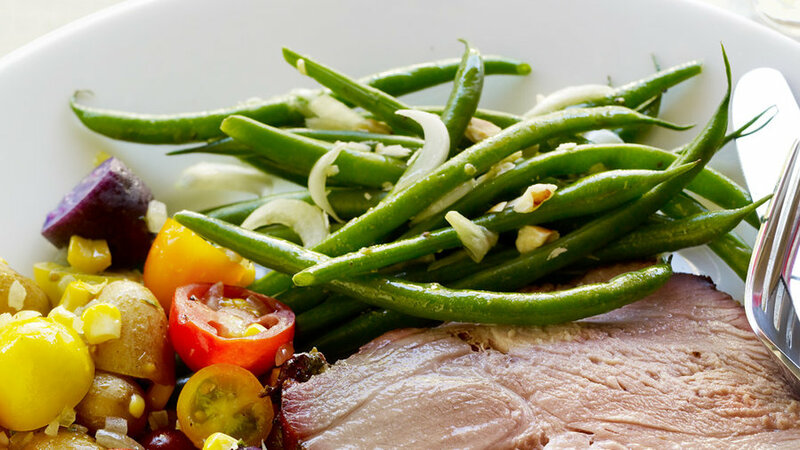 This herb-flecked bean dish is great with our festive Garlic-Rubbed Tri-Tip with Mint Caper Salsa.